The global demand for waterproofing membranes is expected to reach $9.5 billion by 2022 with an estimated compound annual growth rate (CAGR) of 6.6 percent, a new market forecast suggests. The report, by Global Market Insights Inc., cites growing demand for material technology innovation driven by a boom in construction—particularly in Asia Pacific and the Middle East. In the U.S., the market firm anticipates moderate gains of more than 5.5 percent through 2022. The U.S. accounted for more than 20 percent of the total global demand in 2014. Asia’s construction boom is driving global demand for waterproofing membrane and material technology innovation, according to Global Market Insights Inc.
Waterproofing membranes are widely used for roofing and to protect foundations and vertical walls, as well as between-the-slab waterproofing on parking decks and structural slabs. Liquid-applied membrane applications accounted for 67.2 percent of the total volume in 2014. One challenge to the market’s growth, however, is lack of knowledge among contractors as to the quality and type of construction chemicals in a durable structure application. The report also cites fluctuating polypropylene and bitumen prices as likely to hamper industry profitability. In 2014, polymer membranes accounted for more than 45 percent of the total demand, generating revenue of more than $2.5 billion. Polyurethane membrane use is expected to grow due to the wide availability of raw materials coupled with its resistance to weather and UV, as well as to battery acids, alkaline cleaners and fuels. Liquid-applied waterproofing membrane accounted for 67.2 percent of the total volume in 2014, according to Global Market Insights. 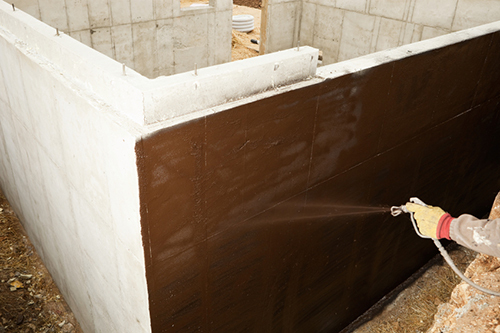 Polyurethane waterproofing is expected to grow due to the wide availability of raw materials and its resistance to harsh environments and chemicals. Bitumen is also likely to have an above-average growth rate, estimated at 6.7 percent up to 2022. While banned in North America and other regions for environmental reasons, bitumen is widely used in China and India. Roofing accounted for 26.9 percent of waterproofing membrane demand in 2014. Building structures are likely to witness significant gains at 7.1 percent from 2015 to 2022. Asia’s construction market share has increased from 31 percent in 2005, and the report forecasts a 46 percent share by 2020. 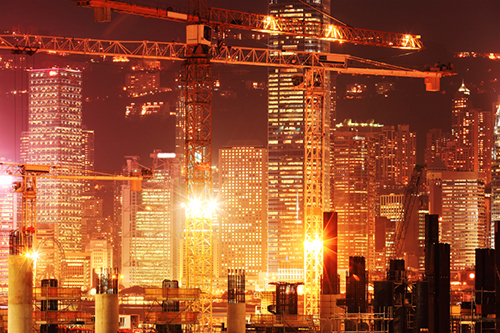 Construction industries in the emerging markets are anticipated to grow at a faster rate than in advanced economies. Eastern Europe is also expected to have positive impact on construction spending, with Poland, Russia and Turkey among the fastest growing countries. Companies identified in the report include BASF, Dow Chemicals, DuPont, Pidilite and Sika AG.